Some men will never learn simple manners in life. 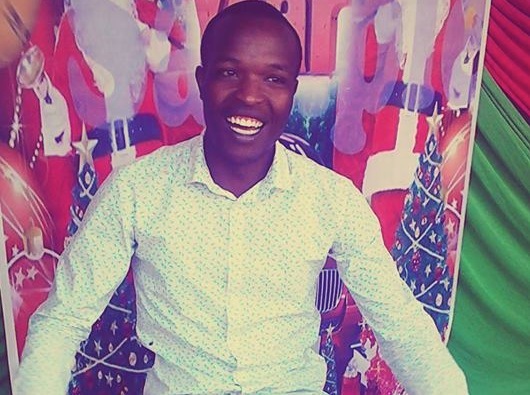 An angry Nairobi lady has exposed a guy who has been sending her photos of his tiny dudu via Facebook messages. 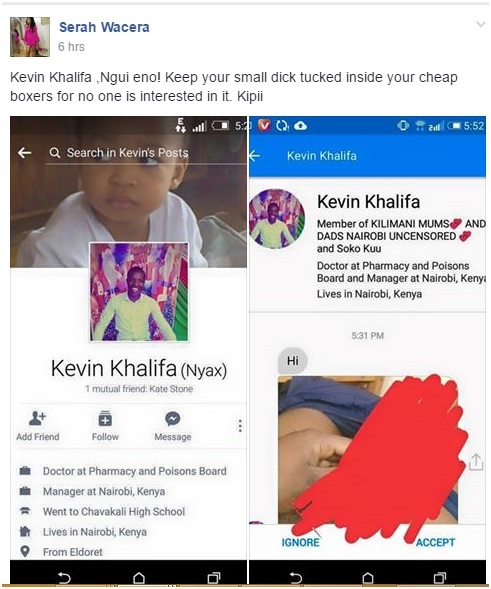 The guy whom she has identified as Kevin Khalifa has been hitting on her and he thought that sending the photos would make her want him more but instead it was opposite. According to the lady, the guy has a very tiny dudu and it doesn't match up to her standards. The result was total embarrassment as the lady went on to a public Facebook group to expose the guy. See what she postes on social media.